Honor subsidiary brand of Huawei Technologies is a global brand, well known for its technology and innovations. Recently, Honor has launched its new mid-range device Honor Play. It is an amazon exclusive device that comes with curve edges sleek-unibody metal design light in weight and it is powered by Octacore 2.4Ghz Hi-Silikon Kirin-970 64Bit chipset processor AI NPU. The company claims it is a gaming device, for smooth processing and lag free gaming Honor Play also packs a Mali-G72 MP12 GPU Turbo power for Heavy Gaming and Graphic support. It comes with a 6.3 inches IPS LCD FullView notch display with 19:5:9 ratio and it’s a multi-touch supported FHD plus resolution with 409ppi pixel density. We got a 4GB/64GB variant to review. If we talk about its storage capacity it is launched in two variants LPDDR4 4GB RAM with 64GB and LPDDR4 6GB RAM with 64GB capacity. For color also it has two variant one is Navy Blue and second is Midnight Black. Its metal finish body, sleek looks, curve edge design provides it a premium looks. And its light weight provides comfort to use this device with single hand easily. Honor play is a hybrid dual nano Sim device with dual standby feature. It’s has 4G volte feature with Jio network support. For software support it has latest Android Oreo OS v.8.1 with Honor’s custom UI – EMUI v8.2. Honor play comes with storage expansion capacity upto 256GB via microSD card using its hybrid/ Sim2 slot. On photography ground it equips a dual primary PDAF - AI Camera 16MP+2MP with f/2.2 & f/2.4 aperture speed and a dual tone LED flash. On its front it packs a 16MP Selfie Camera it doesn’t support LED flash with it. It comes with AI intelligence Camera features in which identify 22 different categories and 500 real time scenarios. It also packs AI Camera features like 3D Portrait lighting and AI Portrait Selfies including excellent Bokeh mode and perfect artistic beautification that helps to provide excellent photography results. EIS stabilization feature is also included, it can easily record and play 4K UHD video with it’s AI camera sensors. For network support this handset has 4G dual nano-hybrid Sim slot that works on both TD-LTE and FDD LTE network Bands. It includes Bluetooth-4.2, Wifi, Wifi Direct, Wifi Hotspot, GPS AGPS, GLONASS, 3.5mm Audio Jack, Type-C USB 2.0 charging slot. Honor Play packs a fast charging 3750mAh Lithium Polymer Battery that comes with smart power management feature. It last for more than a day on mixed moderate uses. It never run out of space as it packs big 64GB onboard storage to store more and more user data, apps, games, video and pictures on it. Further expandability option via hybrid microSD slot upto 256GB helps user to use this device without having any fear of less storage space. 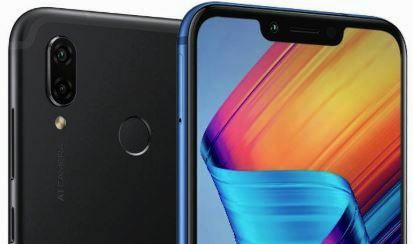 Honor Play’s big storage and latest LPDDR4 4GB and 6GB RAM plays a big role to use this device to play 4D hi-resolution heavy games on its big sized fullview notch display that provides brilliant colors and excellent picture quality. It again improves user experience through its dynamic 3D sound effects for powerful gaming – watching movies and listening music on it. It supports dual microphone noise reduction. 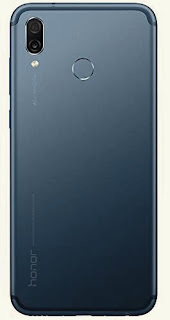 Other features included on it FHD+ fullview notch display, fast responsive fingerprint security that has 360◦ support, AI Camera, Cloud backup, portable hotspot and tethering, it also included Huawei Share, Mirror Share, Navigation Dock, facial unlock, smart assistance, twin app and do not disturb feature for assistance. Honor play includes Ambient Light Sensor, Digital Compass Sensor, Fingerprint Sensor, Gravity Sensor, Gyroscope Sensor and Proximity Sensor in it. It also having many useful apps to customize this device according to use. It’s 6.3inch fullview notch display is capable to provide brilliant colors that enhances user experience of watching movies and playing games on its big screen. Its dual primary and single selfie camera performs well and provides better results while capturing images or recording videos. It has AI EIS-AIS support and it also records UHD 4k video easily. Both cameras performs excellent whether its day light or night or low light conditions. Its AI cameras are capable to capture and records like professional camera that provides true to life colors and stunning images. 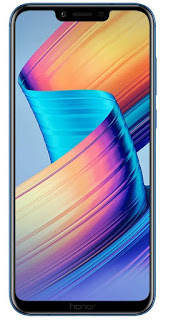 Playing high resolution 4D games on Honor Play is also an excellent experience and its AI chipset Processor coupled with powerful GPU added more power to the device, that is again supported loud and crystal clear sound quality that helps enhance user excitement. Its big RAM and an ample of storage with expandability feature makes more room to store big movies, pictures, apps, and install heavy games on it. With all these features we were able to experience smooth and flawless gaming on it without any lag and less heat. Its AI technology, powerful specs and latest features makes it a perfect device for playing games, capture and record videos and images and for multitasking as well. Honor Play is Type-C supported handset with Smart Management featured fast charging 3750mAh battery that helps run this device for long hours. It comes with fast charging adaptor in the box. We recommend this device if you’re a photography and gaming lover, looking for a mid-range device than you may choose this device without having any doubts and fear. It also carries brand name and warranty. Honor provides one year brand warranty on this device and six months warranty on inbox accessories. This power packed hardware and latest featured device available in two variants LPDDR4 RAM 4GB with 64GB onboard storage and 6GB RAM with 64GB storage priced at Rs.19,999/- and Rs.23,999/- respectively. 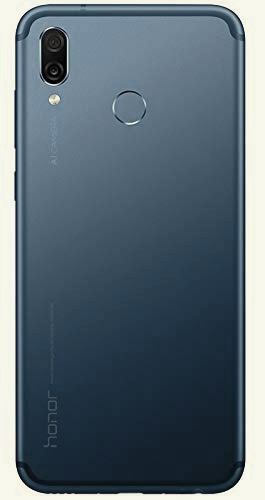 Availablity : Exclusively available on Honor Store and amazon.in with additional offers from different banks including data offers.